One of the best parts about travelling is getting to meet interesting people along the way, but what cities boast the most blissful residents? And more importantly, have you planned your holiday there yet? One of the best parts about travelling is getting to meet interesting (and hopefully happy) people along the way, but what cities boast the most blissful residents? And more importantly, have you planned your holiday there yet? This past December the United nations declared Norway to be the best country in the world, quite the title indeed and this was the 12th time in a row Norway has been awarded the honors. Last month the U.S. News & World published its Best Countries Index and named Germany in top place. More recently a European Union Survey on the quality of life has announced its winners. The survey polled more than 40,000 respondents across the EU’s 28 member countries and inquired about how happy residents are to live in their respective cities. Results are in and Oslo, Norway and Zurich, Switzerland ranked the highest, with a 99% satisfaction rate. 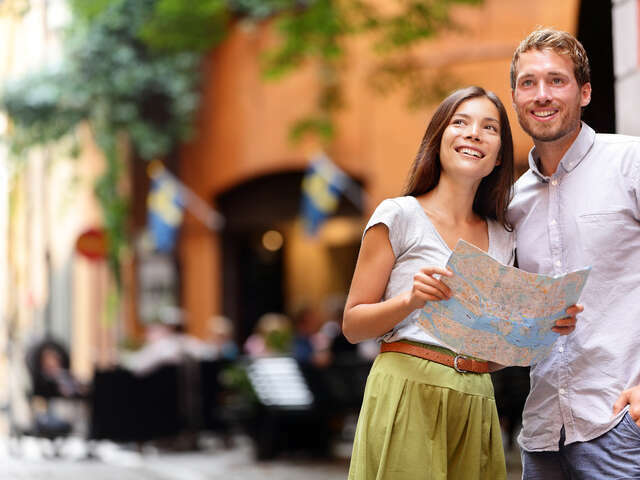 These two destinations may not be a surprise as Scandinavia and Switzerland frequently top worldwide polls for quality of life and happiness. What may be a surprise is some of the other results. Vilnius, Lithuania's capital, reported 98% satisfaction, as did Belfast, Northern Ireland. Have you planned your next European vacation? Ask us to quote you rates on flights, accommodation, tours and more.